Thank Goodness, it’s finally Spring. I mean really Spring. It always amazes me how well everything grows at this time. 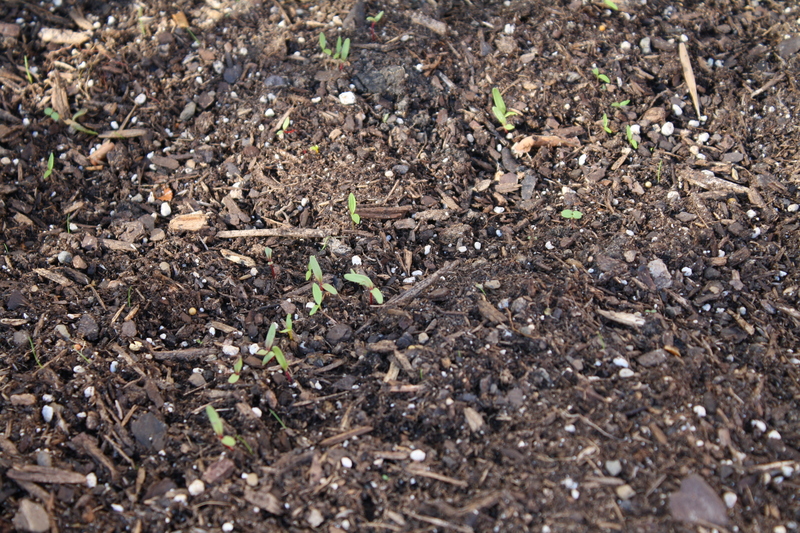 Maybe it’s because all of my perennials start waking up, but it just seems like if you plant it, it grows. More likely, it is the perfect combination of timing, weather and temperature. If you are a gardener, You know what I mean. But right now the garden is Beautiful. Here’s an update on what’s growing. 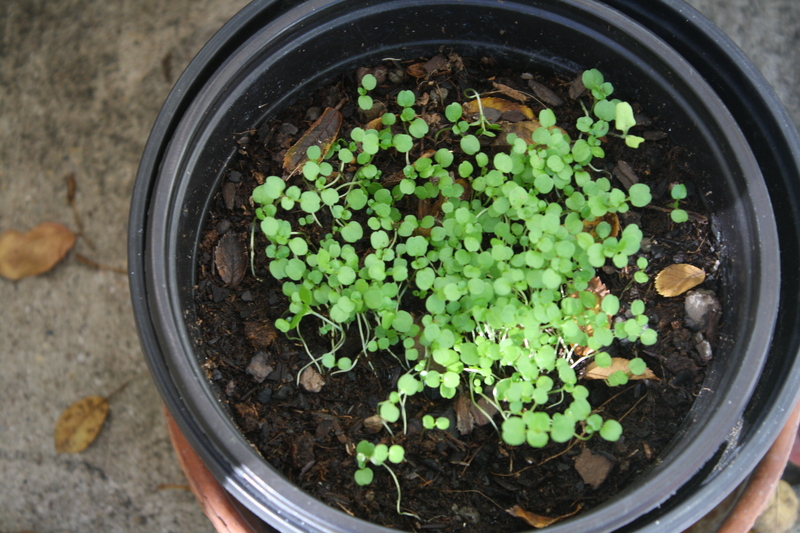 But the most exciting thing I have growing right now, I didn’t even plant. Strawberries. 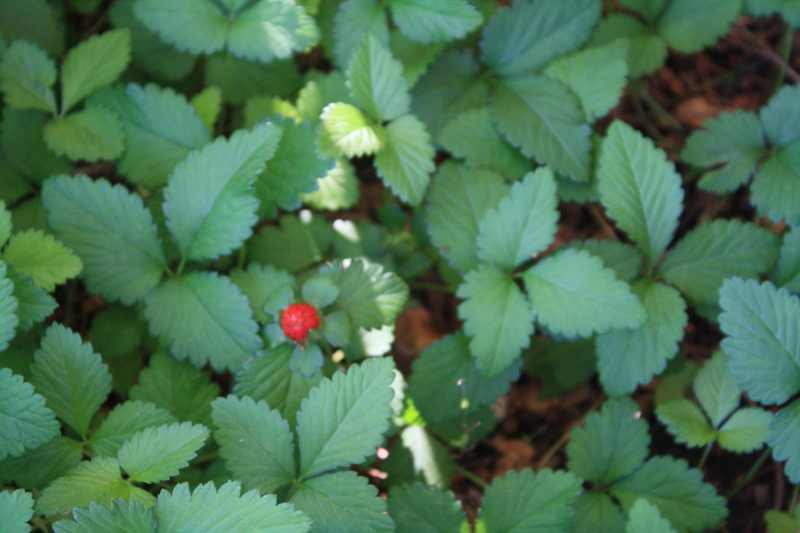 Wild little strawberries, which came up next to my compost bin. 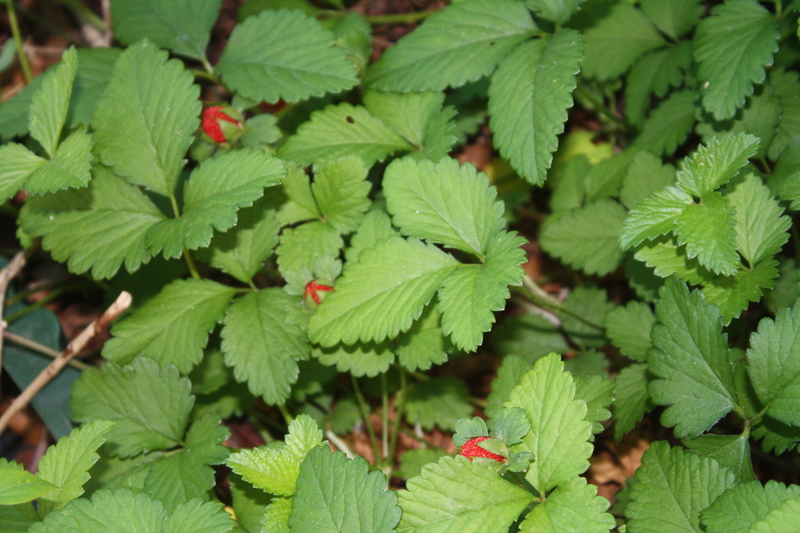 Free organic strawberries. I know. It just doesn’t get any better than that! We, along with the entire country, have had our share of snow and ice. Just makes you want to curl up in a comfortable chair with a good book, doesn’t it? More about good books, later. However, this past weekend we reached 67 degrees. Craaazzy! It did prompt me to get my fanny out and do something productive in the garden. 1. Weeded- Where do they all come from? It’s amazing. If I don’t start now, they will overrun me by Spring. 2. 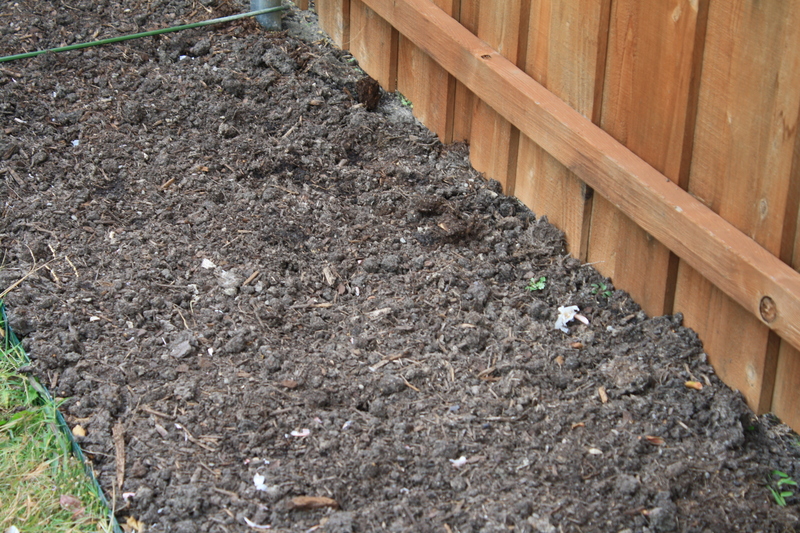 Added four bags of compost to certain areas and readied one bed for planting my English peas. It looks better already. 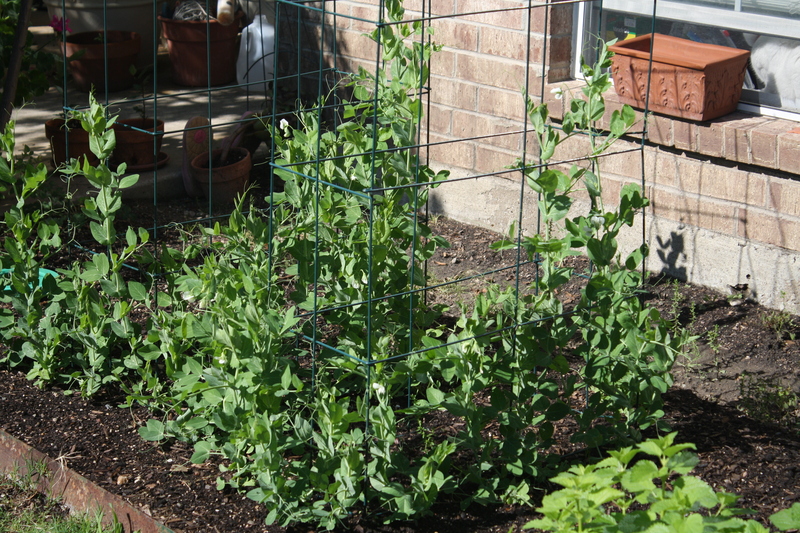 I love me some garden peas! 3. Also, I trimmed and trimmed all the dead sticks and fluff to make things look more tidy. Which now looks much better. 4. 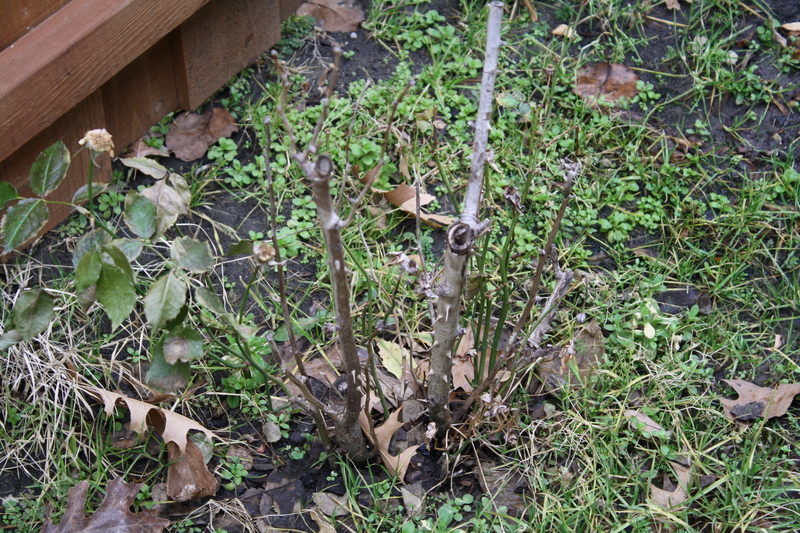 Cut my rosebush back by half. It really needed it. 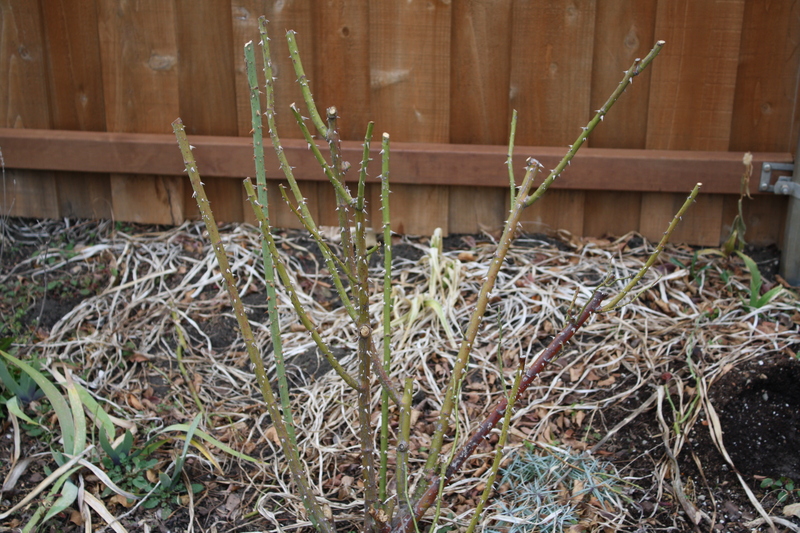 Also, moved another rosebush which will free up some more space for veggies. 5. 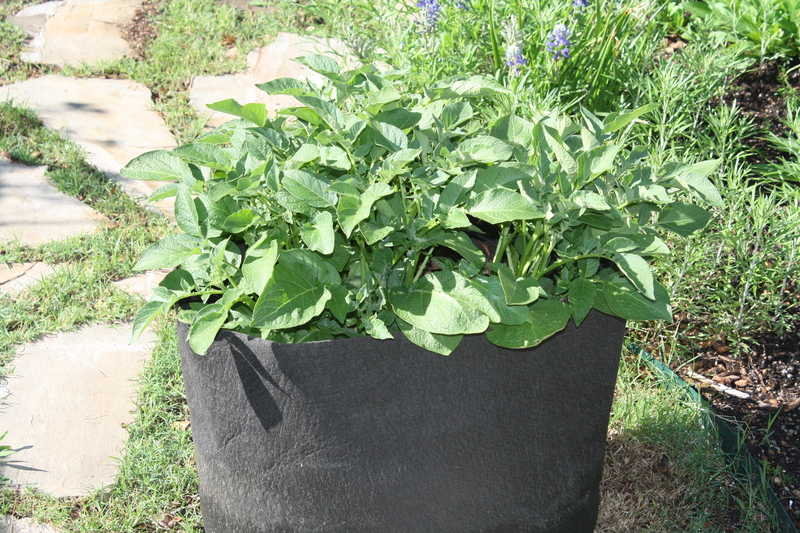 Bought my potatoes to plant in my potato bags. 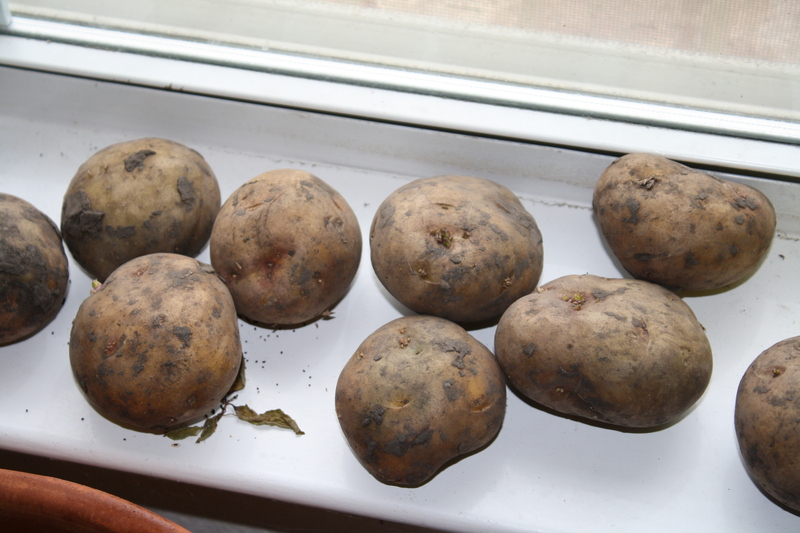 These are Yukon Gold and I also bought some Kennebec which are a much darker colored potato. I put them in a sunny spot to better sprout their little “eyes”. 6. Oh yeah, and I slipped on my stones and fell flat on my face. I’m still sore. So, here is a picture of winter in Texas without the pretty snow. So ugly. Please remember this picture in a few months when things will look much better. I hope. My camera was on the blink. Actually, it turned out to be operator error, and the sad part is, I’m still not sure what I did wrong. It all started at my son’s graduation. I couldn’t seem to get it to work in the low light. But did get a few pics. I know this isn’t about gardening, but so far my kids are about the best thing I’ve ever grown. 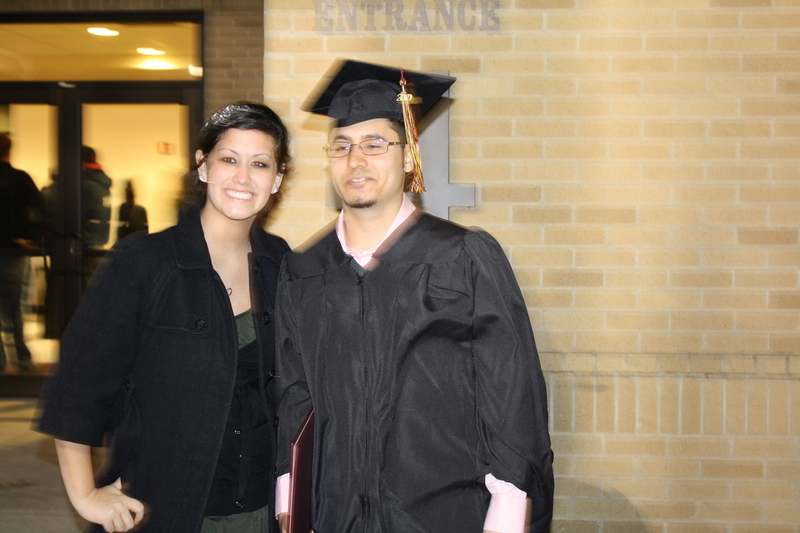 The graduate and his sister. 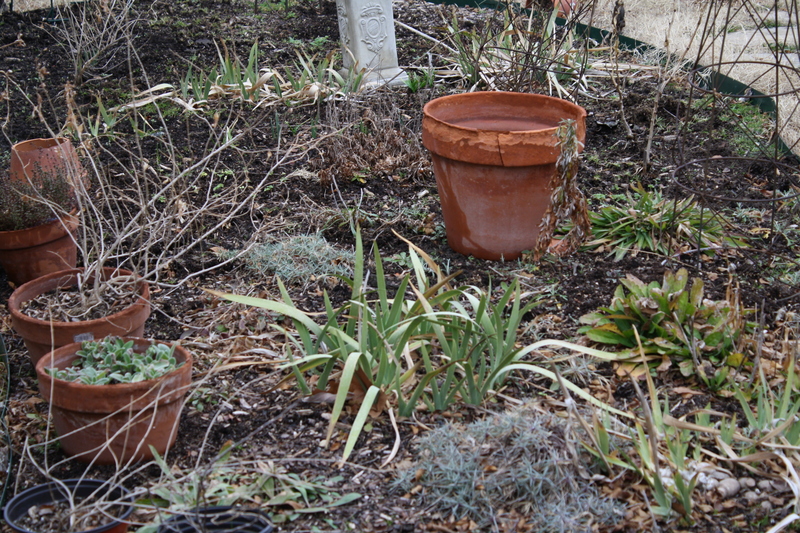 The garden is looking pretty sad right now, so it might be a good thing the camera has been on the blink. It may have something to do with the fact that we have had a winter storm, complete with snow and temperatures around 29 degrees. We had this same weather last year and I’m not complaining. At least, not about the snow. The snow covers all the dead stuff and it looks lovely. 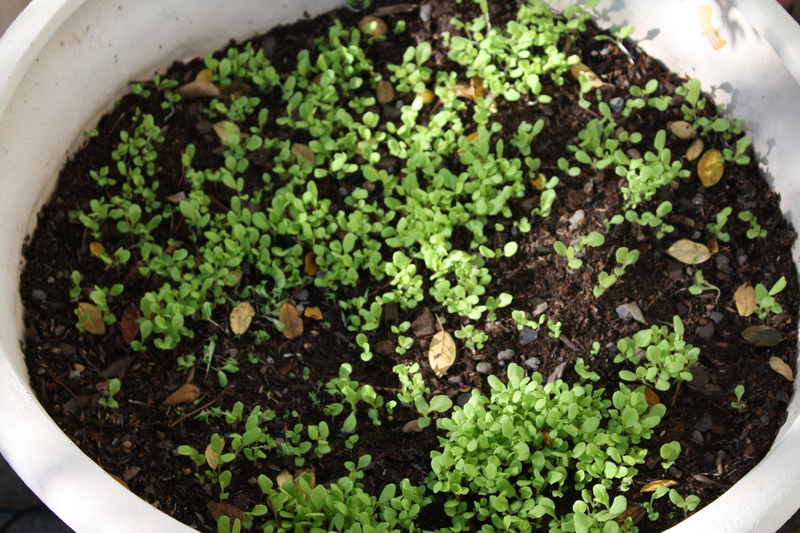 I have covered my lettuce mix, arugula and watercress with frost covers. That is working really well. 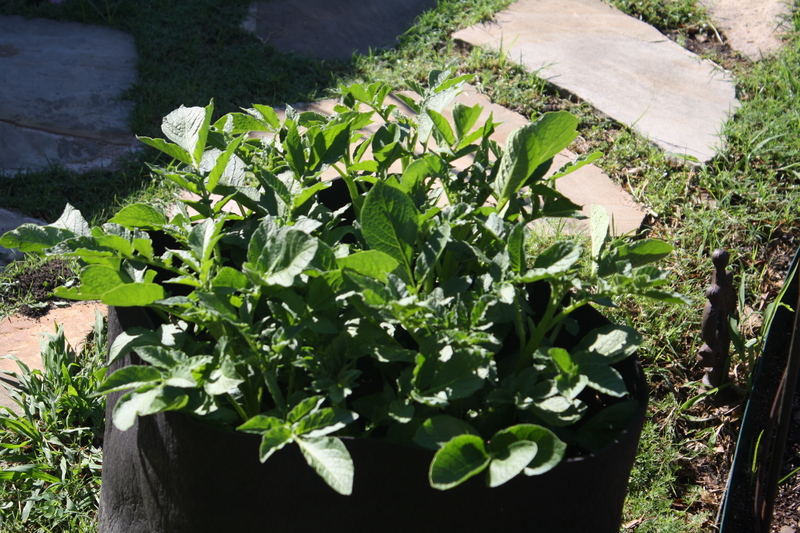 They are in pots, so it is easy to cover and easy to harvest. 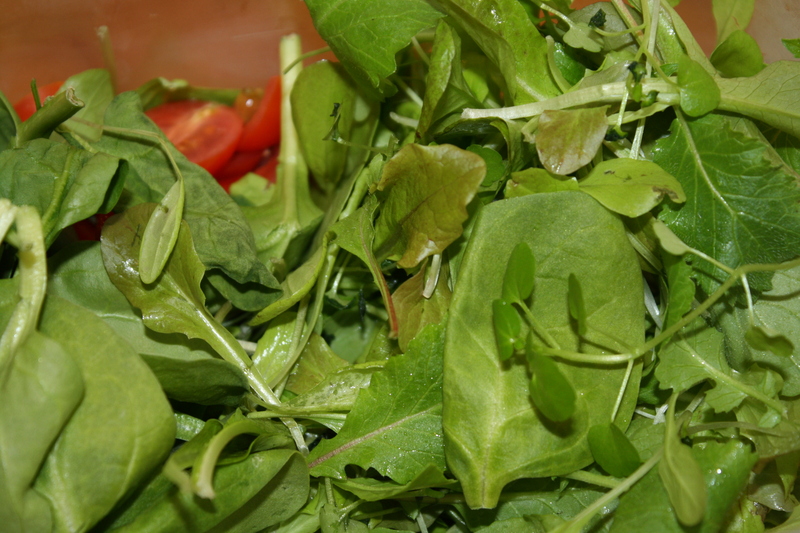 I had a salad with fresh lettuce, arugula and watercress this week and it was wonderful! 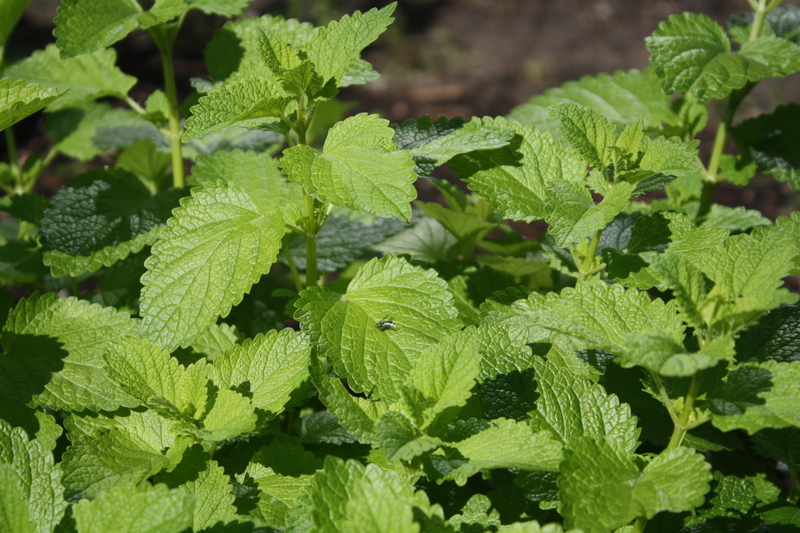 There is still some green in the garden. 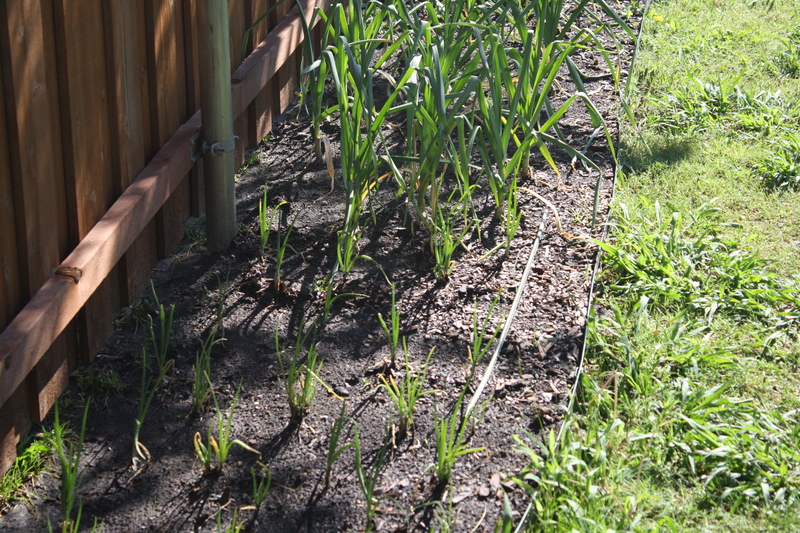 Garlic is growing well. 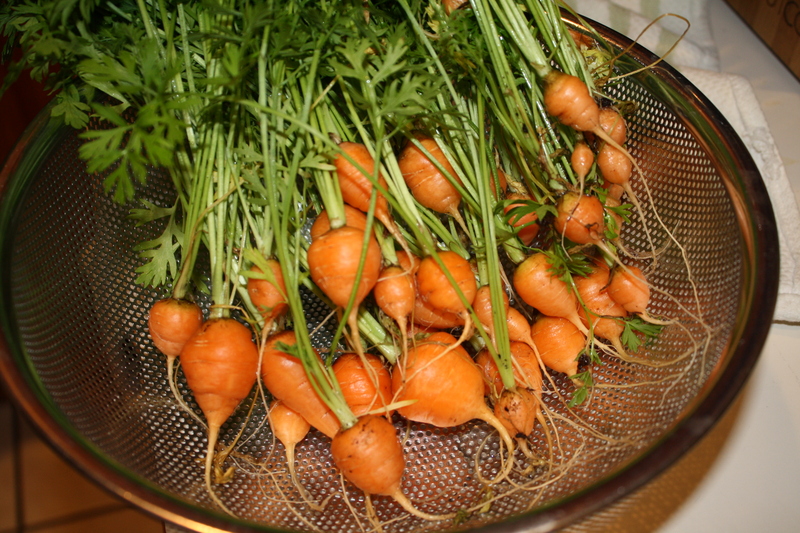 I also wanted to show you my carrots I harvested. This picture was taken on Christmas eve day. 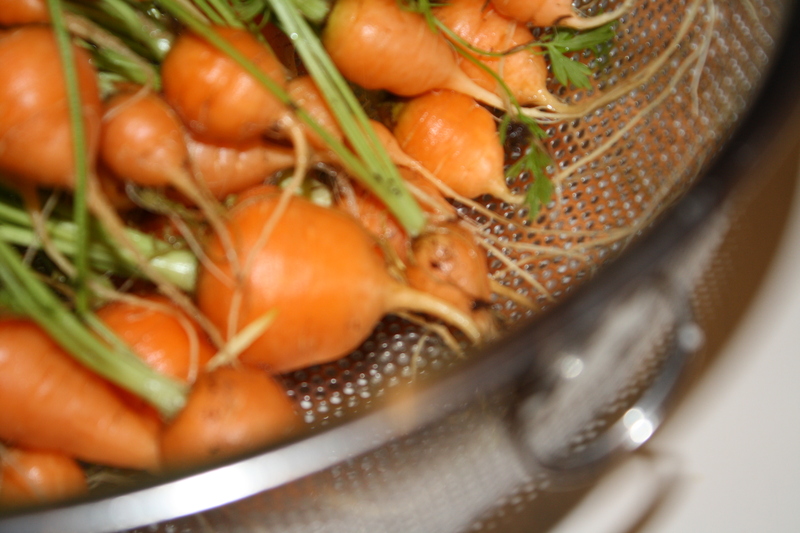 I cleaned them up and took them as crudite for our holiday snacking. They were soooo sweet! They are called Romeo and are small and round. 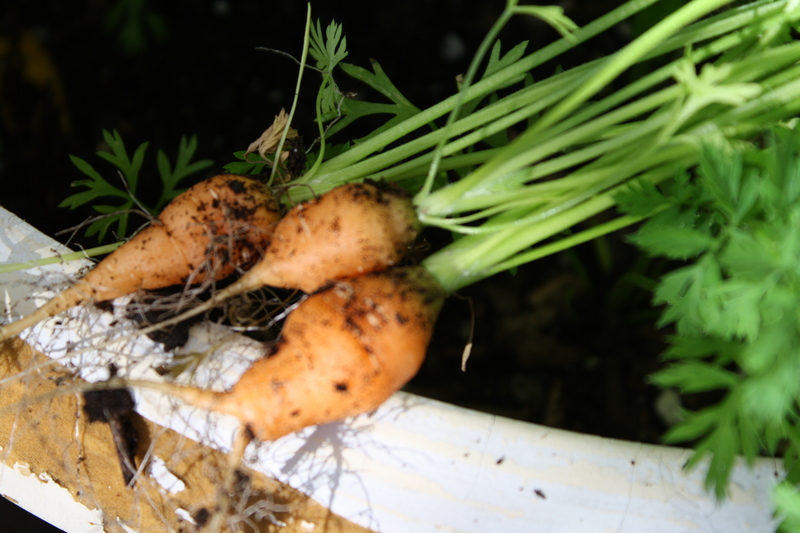 I am especially proud of these, because I have never been able to grow carrots. These seeds came from my friend Patty. Thanks Patty! 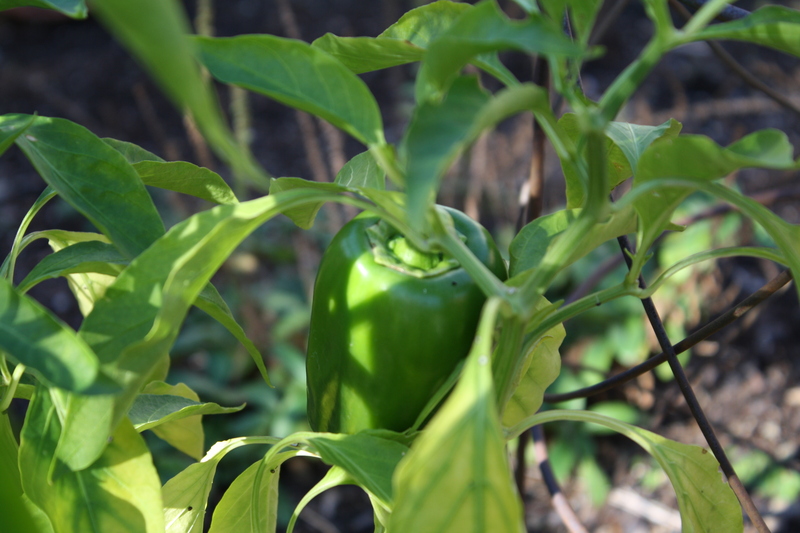 The Fall garden I planted is now up and growing. Slowly. Our weather has been fairly mild with a few really cold days thrown in. We’ve even had a couple of frosts and the weatherman is speaking of snow flurries tomorrow. My feelings about that are to ignore him totally, because I don’t want to get my hopes up. You may remember the empty pots of dirt I showed you. They really weren’t empty. See. 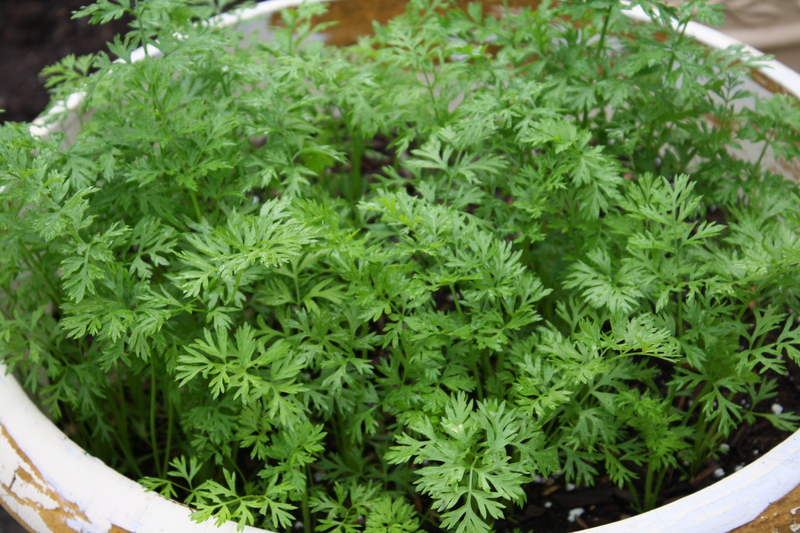 My romeo carrots have grown quite a bit. Carrots!! I love these baby carrots, aren’t they cute? 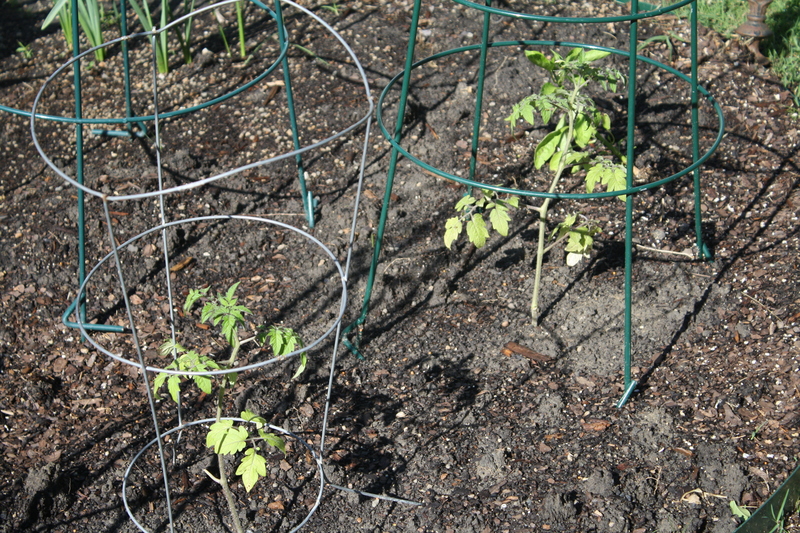 I have been covering the pots with frost cloth whenever I hear the weather may dip below freezing. So far, it is working. 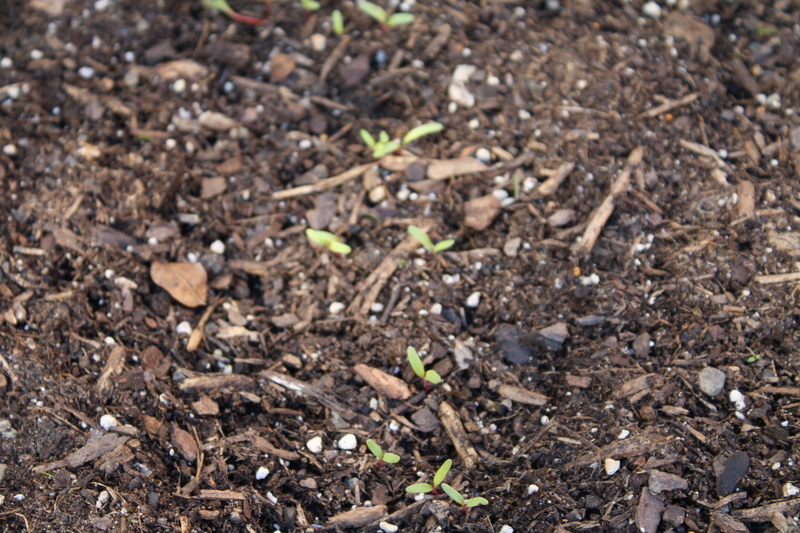 I also planted swiss chard, beets and radishes. 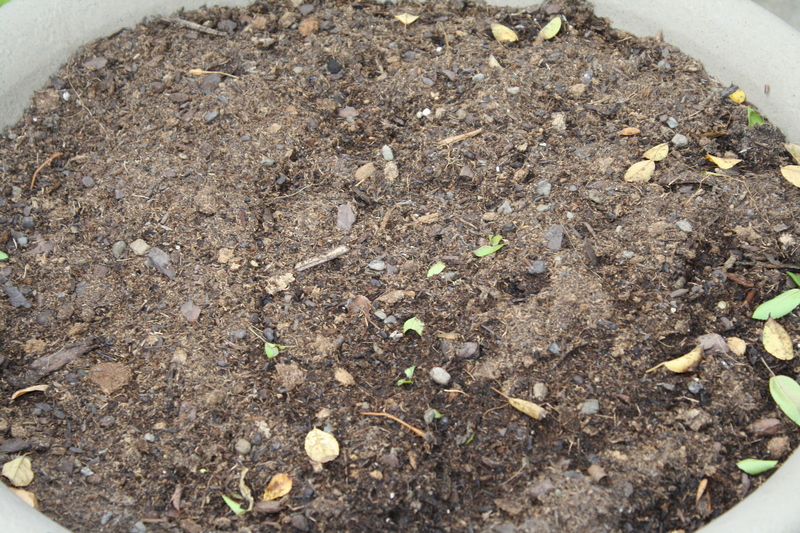 They have sprouted but aren’t growing very much. I’m not covering them with the frost cloth. I am afraid they are on their own. 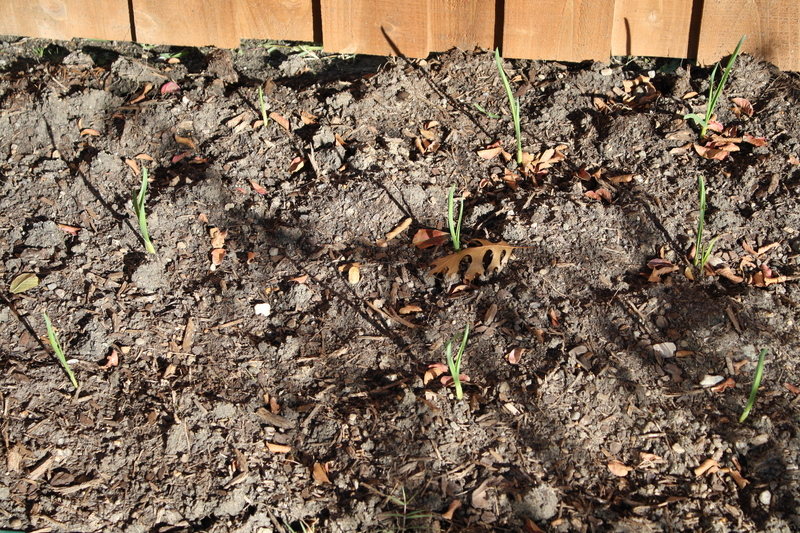 My garlic has sprouted also. 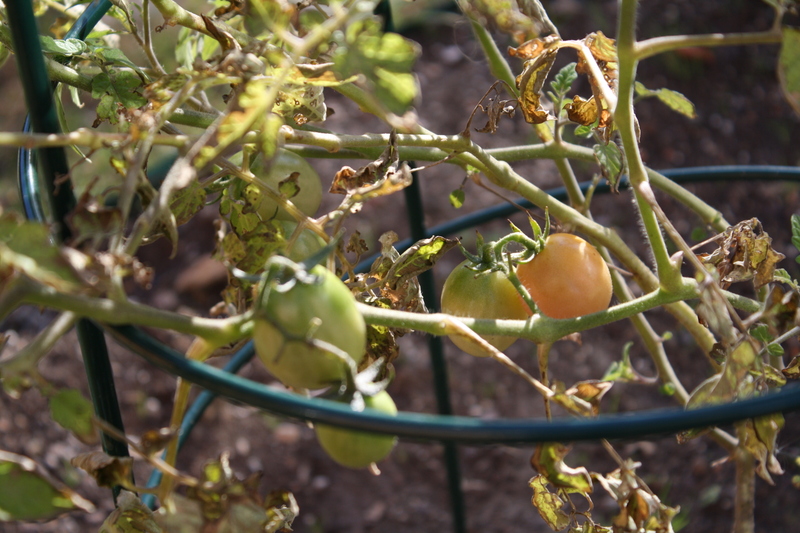 My poor little Porter cherry tomatoes are hanging in there. I am amazed they are still alive, much less producing. 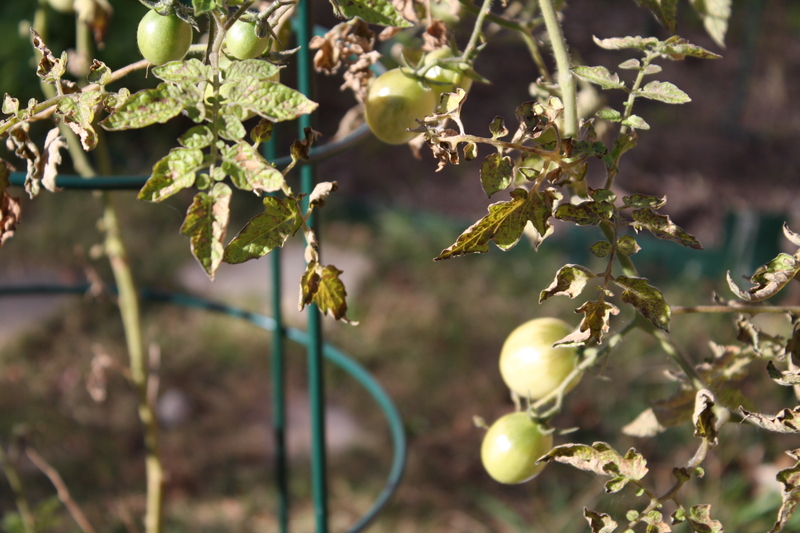 Porter tomatoes were originally introduced to grow in the heat of Texas. 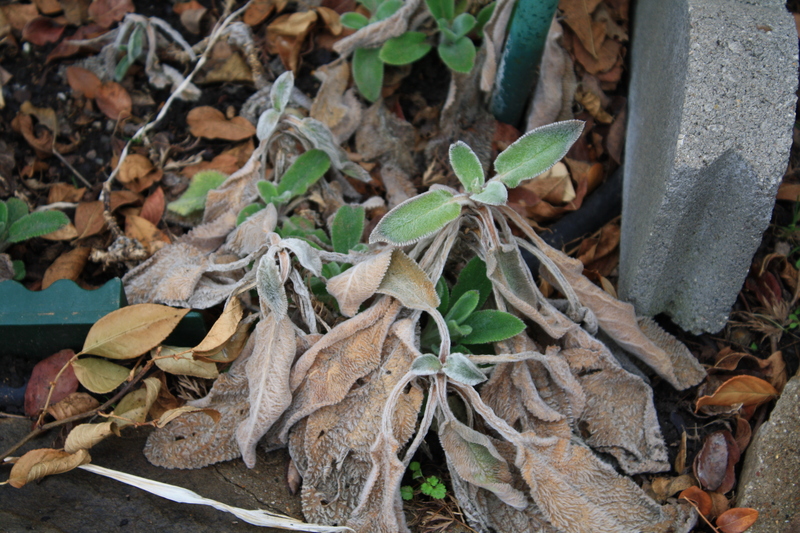 I haven’t been covering them with the frost cloth either, so they really are hardy. 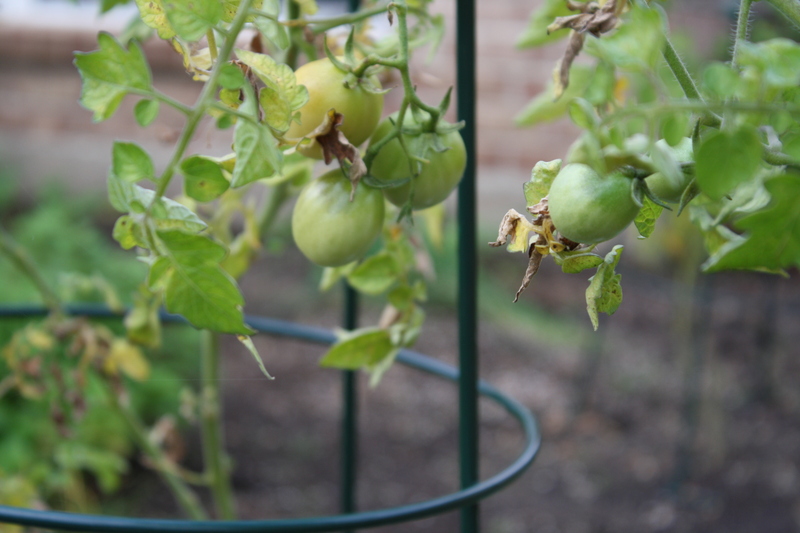 Now if my lettuce would hurry up before my tomatoes are all gone, I might have a salad. 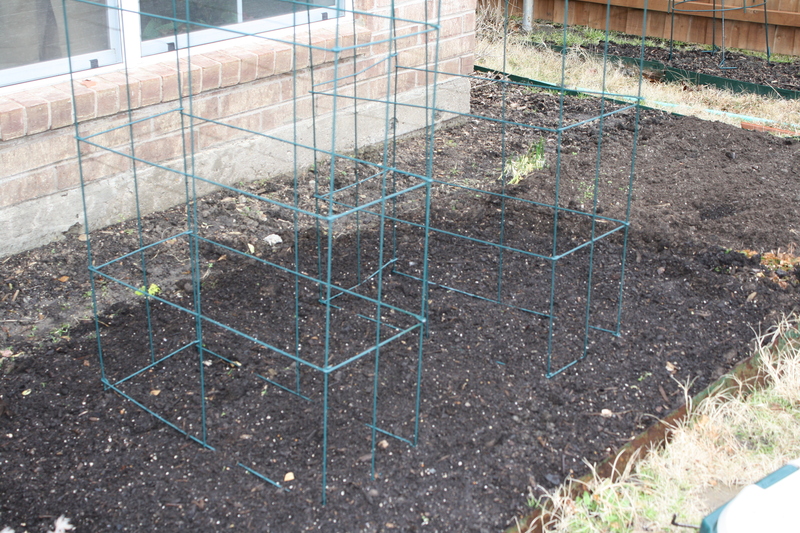 I finally “readied” my beds for planting. Only a gardener can truly appreciate the meaning of “readied”. Back breaking, 40 lb. bag lugging, turning the soil, hoeing, and raking. Whew! 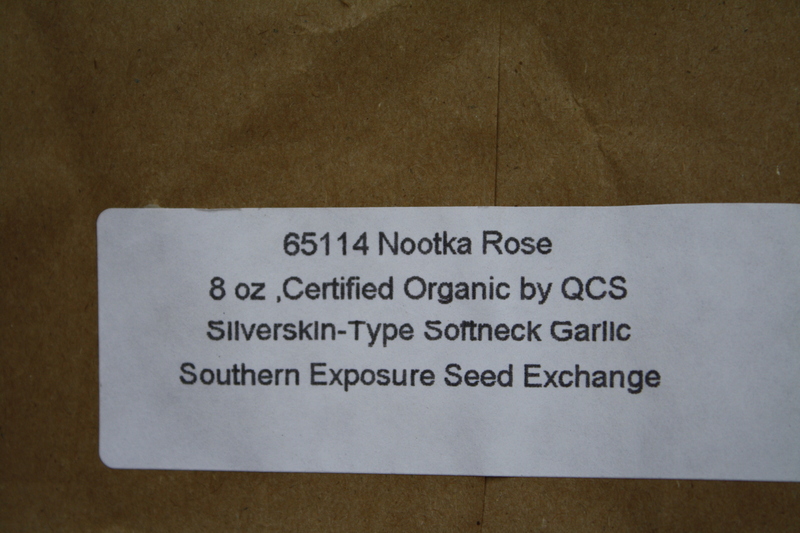 which I got from Southern Exposure Seed Exchange. 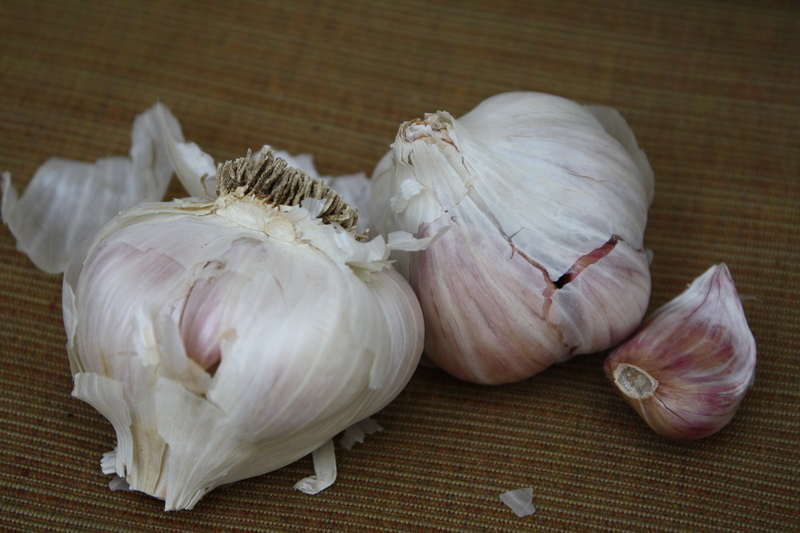 It was the best place to find garlic in a small quantity (8 oz = 4 large heads), to plant. Many of the other sites minimum was a lb. of garlic. Way more than I needed and cost about $25-27. A little pricey for my uses. This variety is a softneck which is the best variety for the South. 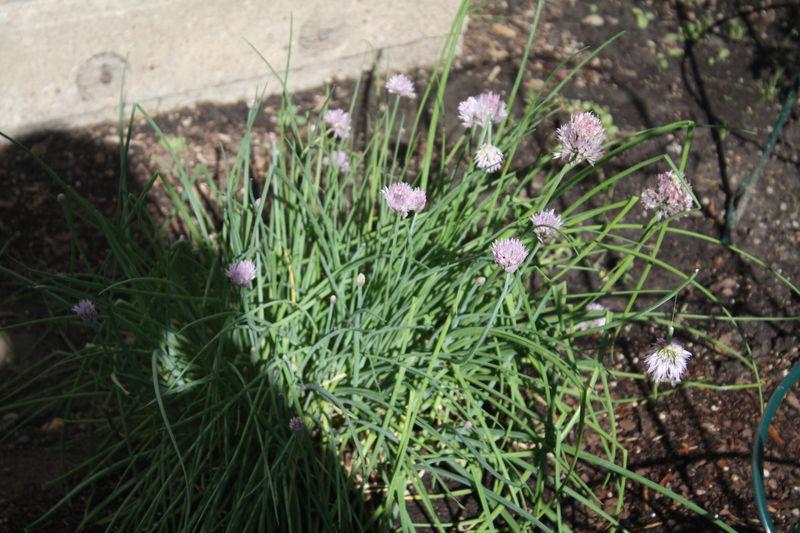 I didn’t plant garlic last year, and I sure did miss having it. I am hoping this crop does well. It went into this bed. 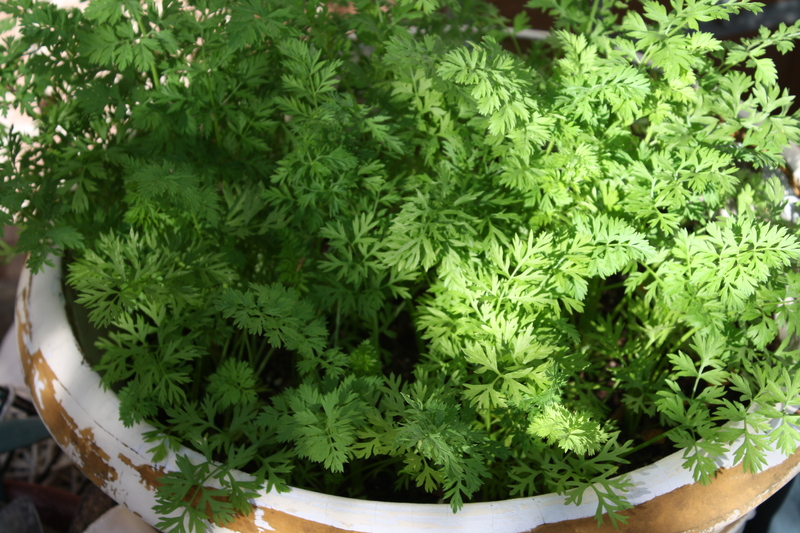 I also planted a few weeks ago Romeo carrots, in a pot, which certainly have a lot of greenery up top. Hopefully, carrots below. 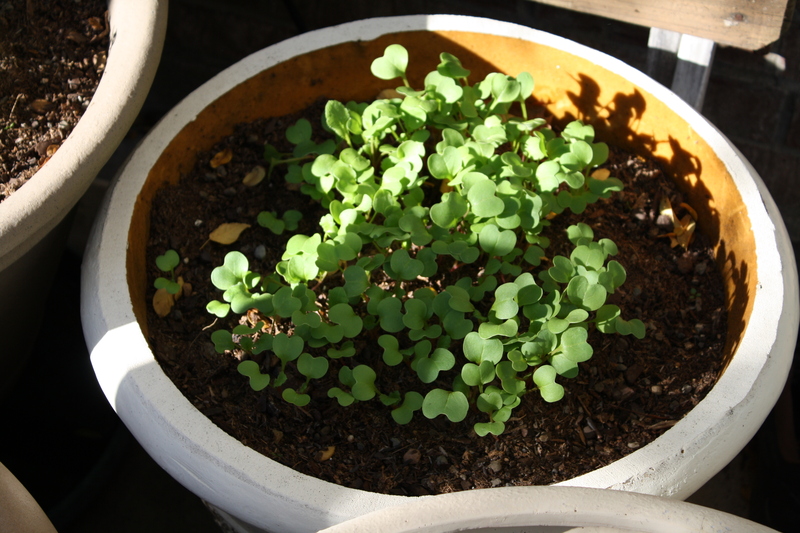 I also planted in pots, some watercress, arugula and a lettuce “salad” mix. 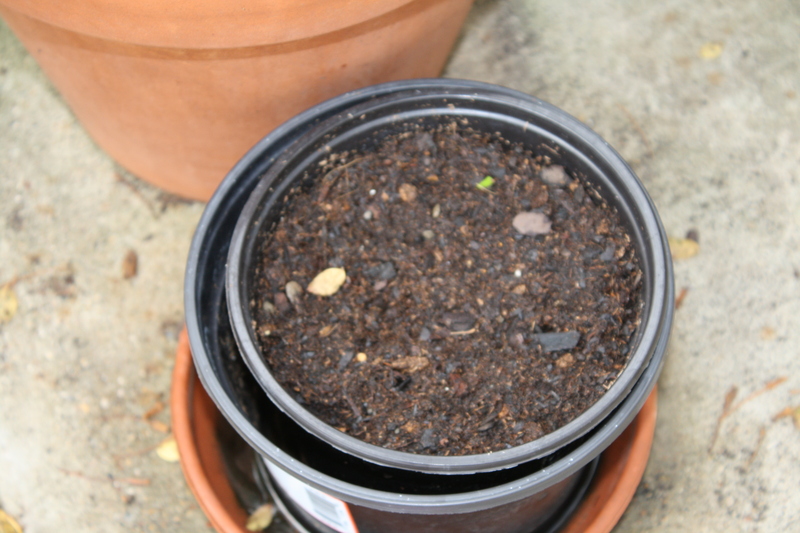 Now wasn’t that exciting looking at pots with dirt in them. 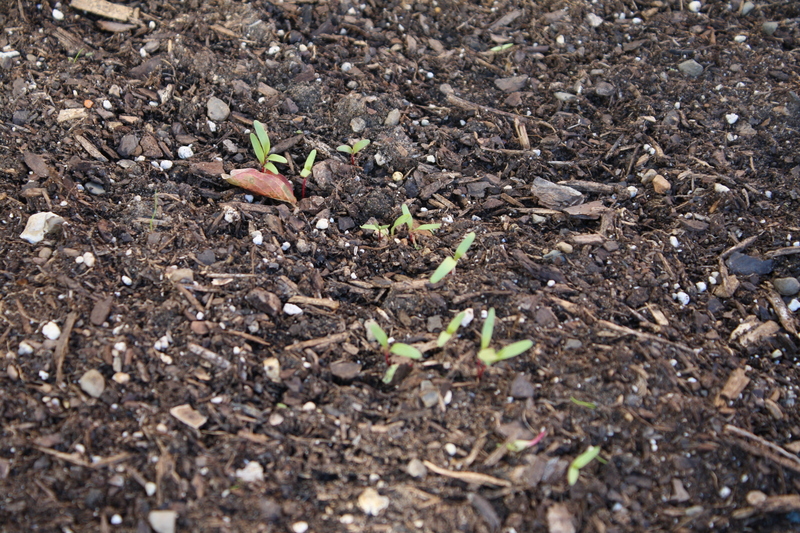 I also planted in another “readied” bed – swiss chard, beets and radishes. 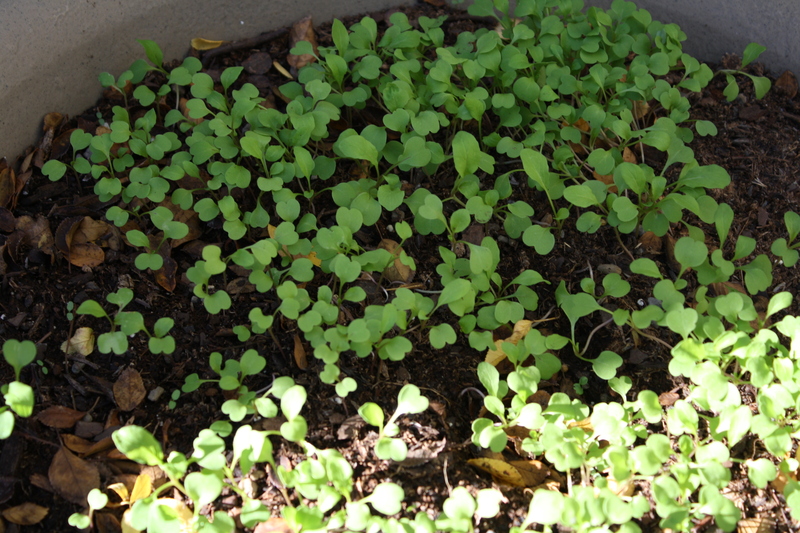 I planted these last year as well, but no luck with the beets and radishes. 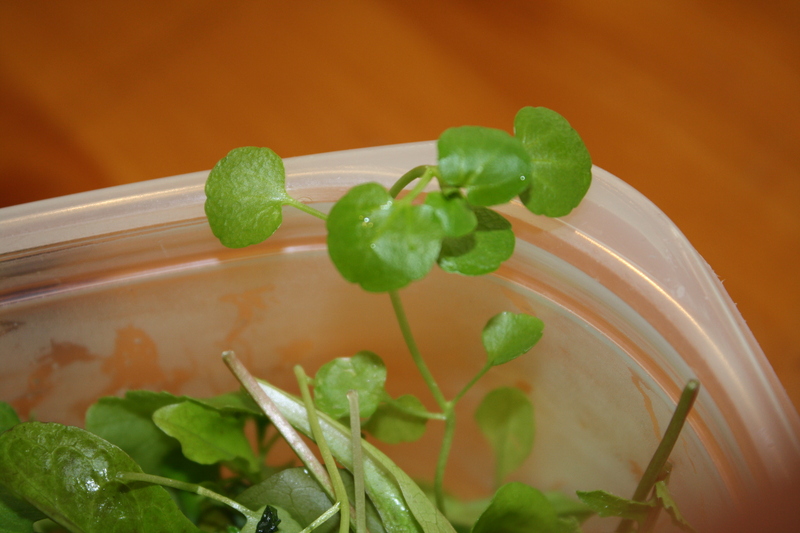 Which is pretty sad, as radishes are supposed to be the easiest garden vegetable to grow. It’s the one children usually start out with. yeah. I have decided to be the manure queen this winter. I am determined to have my beds so soft, you can stick a fork in them. about two feet down! 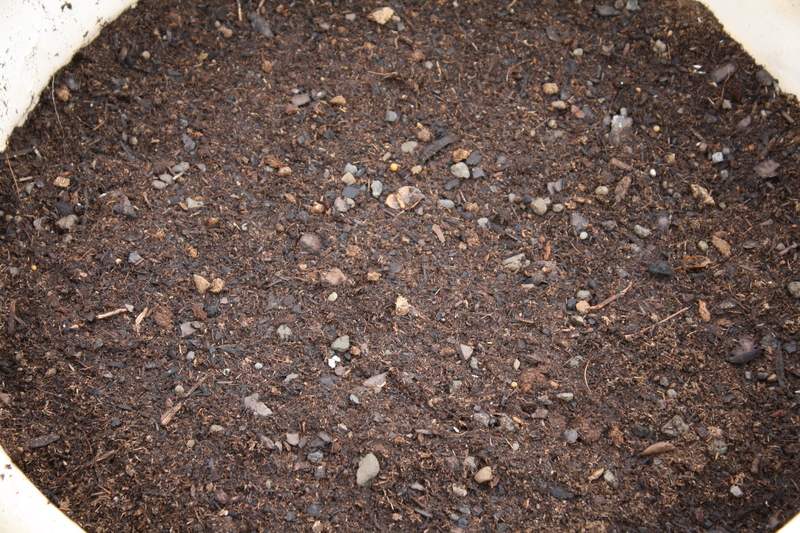 I am always adding compost but this winter it is going to be pure doo. Fall bounty so far has been rather pathetic. 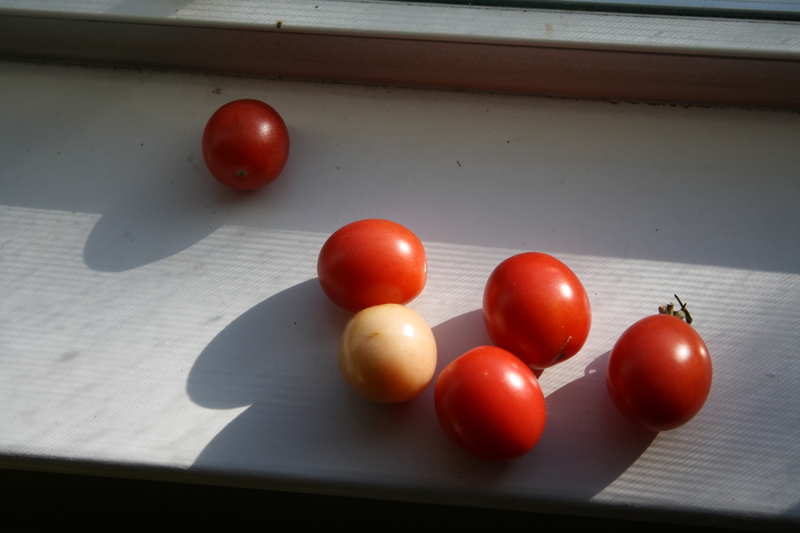 I planted cherry tomatoes late in the summer and have this to show for it. Yes. one. there are a few on the vine but I’m not sure they are going to grow anymore. sigh. 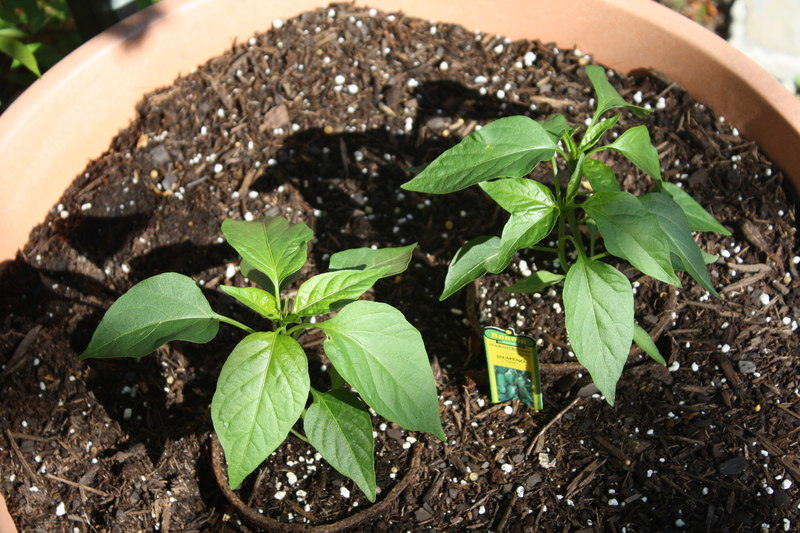 I also harvested A single bell pepper from each of these two pitiful plants. Poor things. 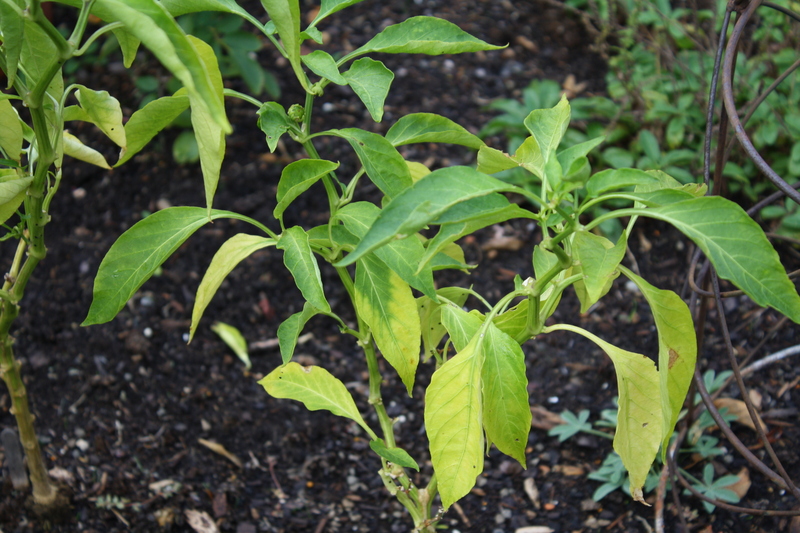 It’s like the whole plant had only enough energy for one pepper each. 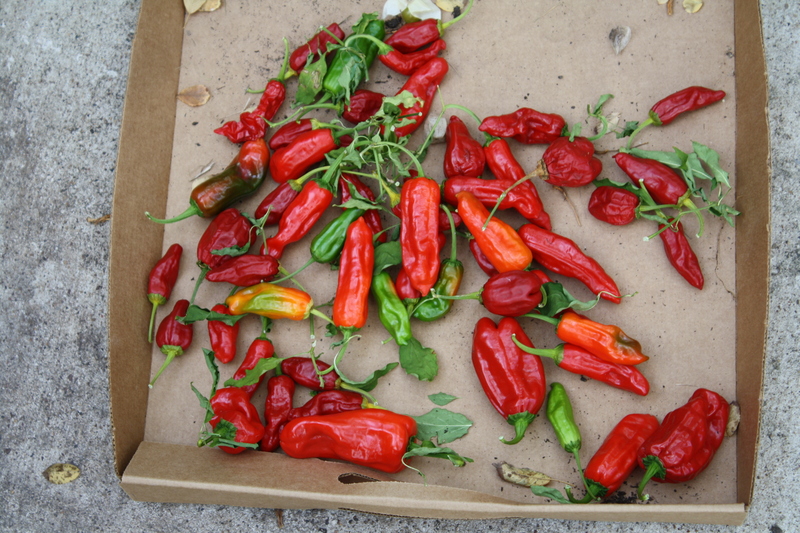 I also picked the rest of the hot peppers. 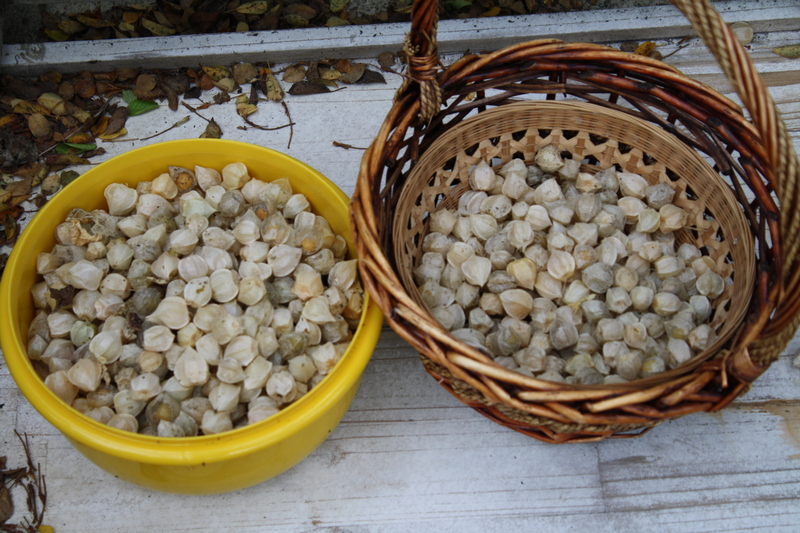 But what I did have the most of were ground cherries. 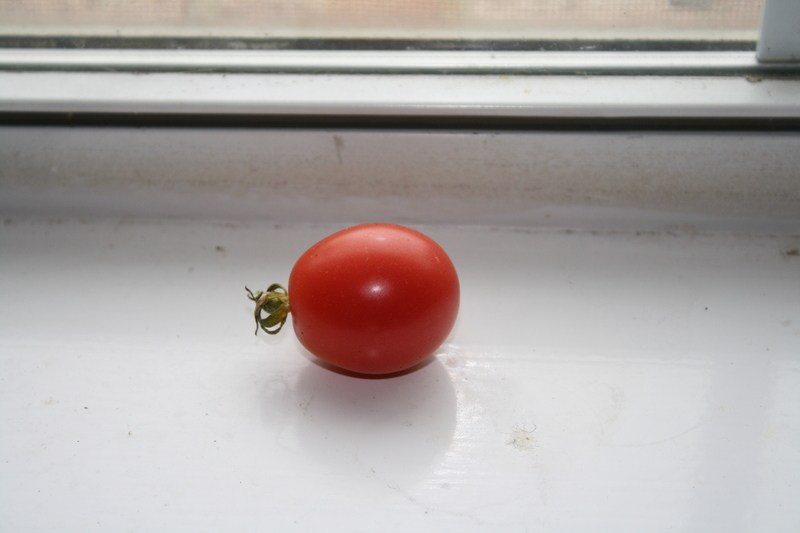 I harvested all the plants and this is what I got. 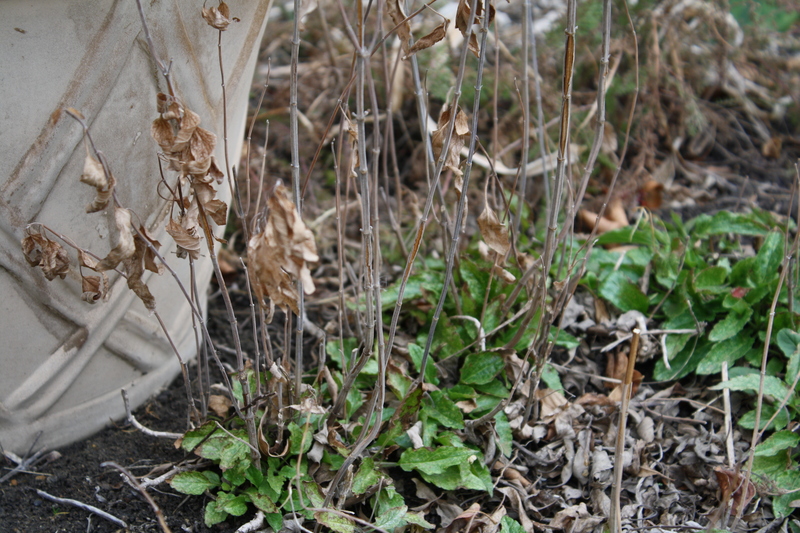 Next year I will have ground cherry plants coming up everywhere. I have started the jam making process and will show you the results in my next post. I am so sorry I haven’t posted in over a month. I had minor surgery and couldn’t lift or bend over …etc. Try gardening with THOSE restrictions. bleh! 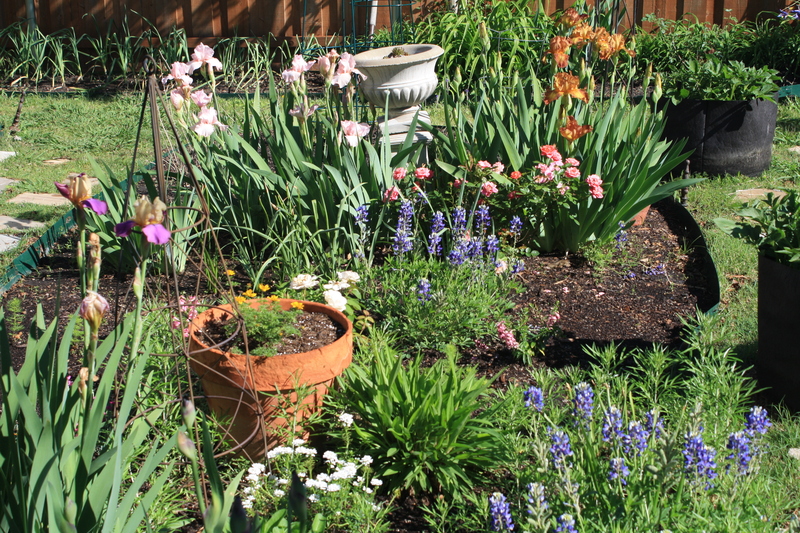 But this weekend I am itching to get out in my garden. There are a million (no exaggeration) things to do. I am not talking about your run of the mill dandelion, chickweed, crabgrass, nut grass, Dallas grass, and many more I can’t name. 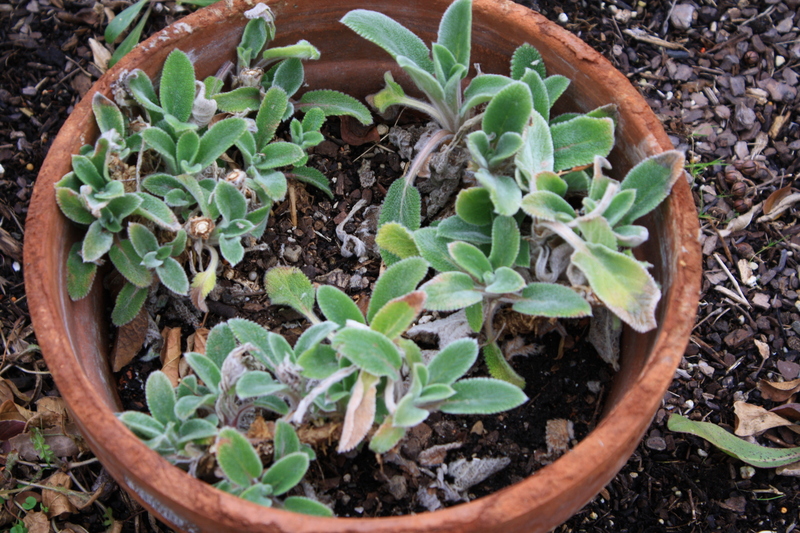 Although, they have been in my garden at one time or another (and still are). No, no, no. 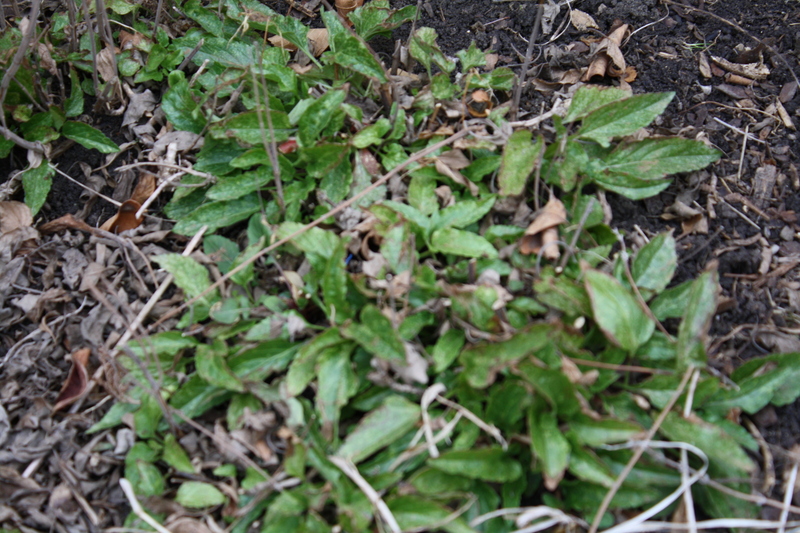 I am speaking of the weeds I actually tried to grow on purpose. Let me explain. 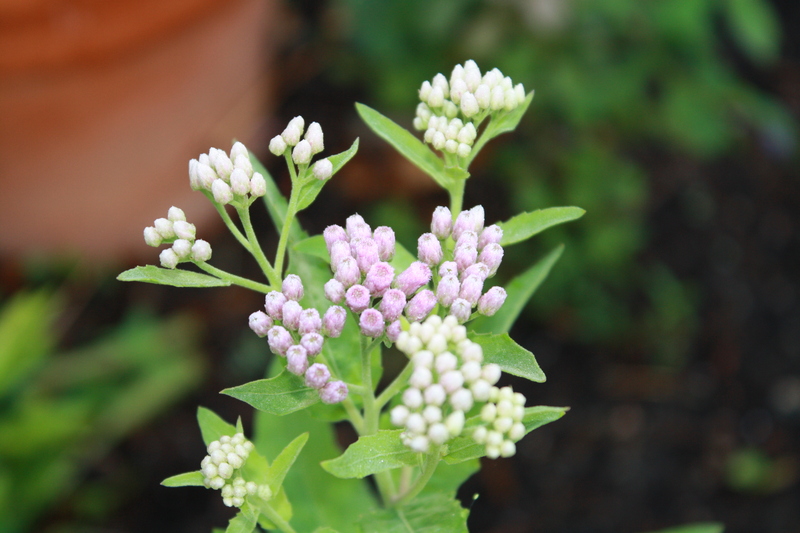 The first was the butterfly weed which I showed you here and now out of the blue, I have another weed to show you. The truth is, when I say “doing what I do best” I really mean planting seed and then forgetting about it. OR pulling up the plants not realizing they are a weed I WANT. But these guys are really hardy and survive despite me. 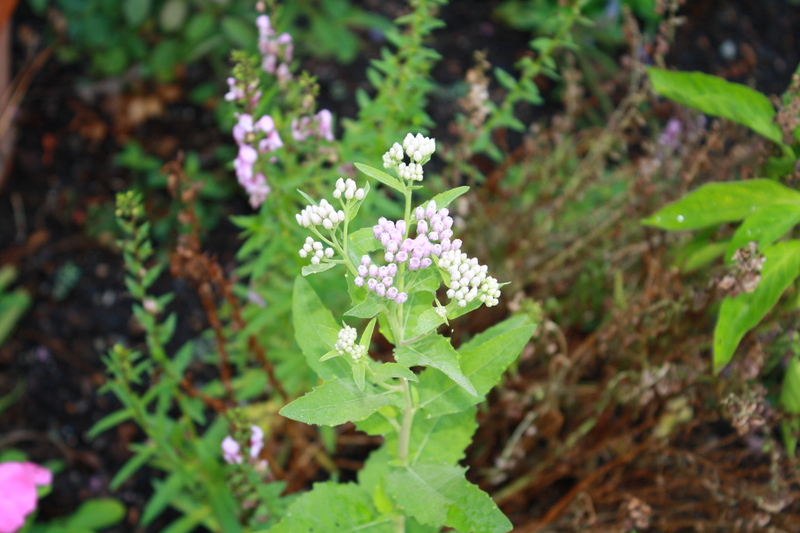 The plant pictured above (sorry for the blurry photos) is called Common Milkweed and doesn’t require special preparation before planting. Thank goodness, because both of these plants attract Butterflies!, especially Monarch butterflies. 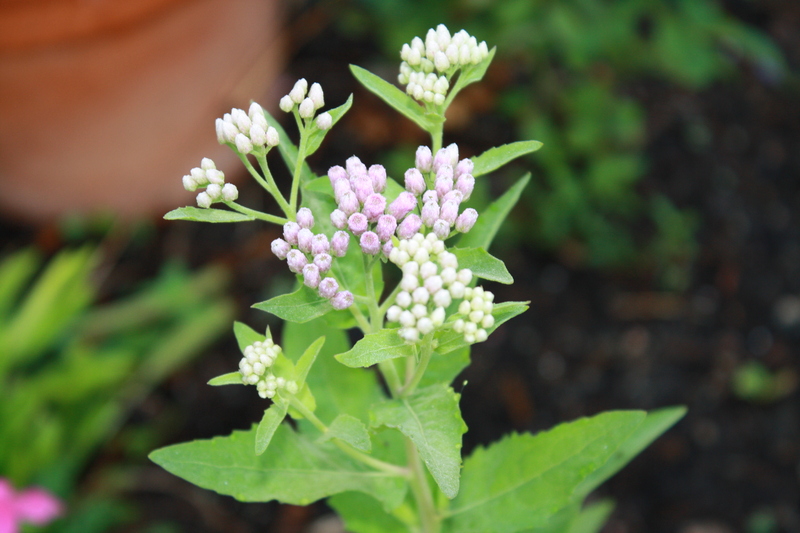 Butterfly Encounters here has THE best information regarding milkweed. They have several varieties for sale and even have a great video showing how to prepare the seed for germination. If I can grow them, anyone can.